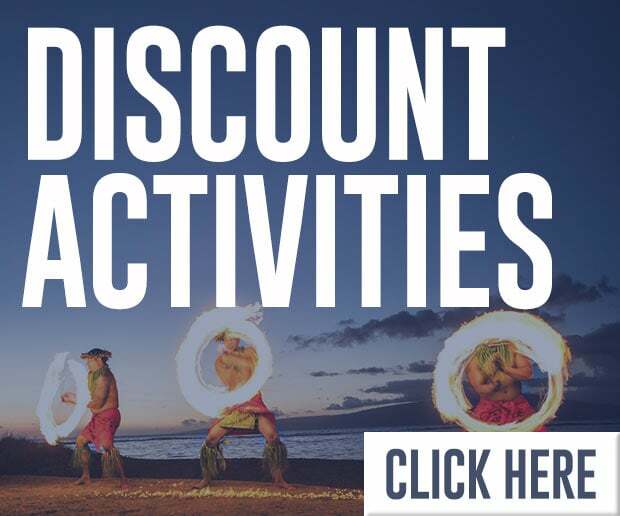 One of the main reasons people visit Hawaii during the Northern Hemisphere’s winter months is to see the humpback whales who migrate from up north. We have awesome naturalists on our boats who will tell you all sorts of interesting humpback whale facts. 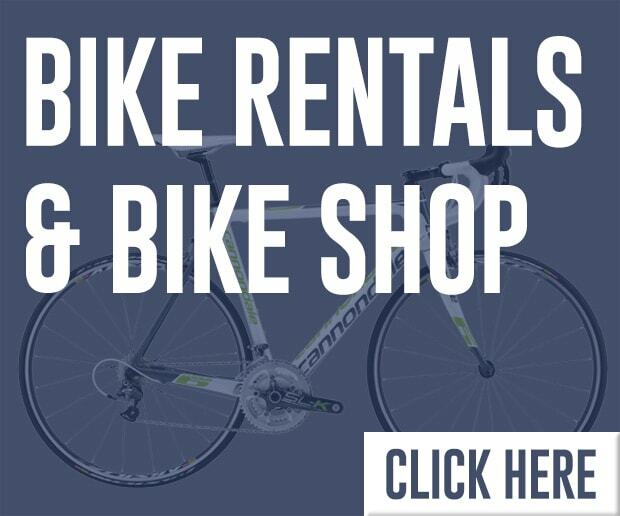 In this article, we thought we’d give you some tidbits that may be a little bit different! To learn more and to see these whales in action, come with us on a whale-watching tour between mid-December and mid-April. That’s humpback whale season in the Islands! We’re sure you’ve heard that humpback males sing, and if you’ve gone on a whale-watch tour in the Islands, there’s a chance you’ve heard humpback song for yourself! 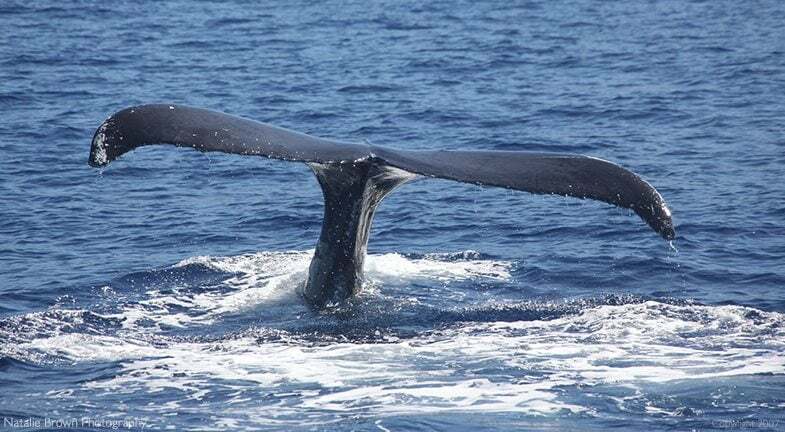 Whale Trust, a group of marine scientists based on Maui, is trying to figure out just why humpback whales sing. One possible reason they’ve been testing is that males could be singing to locate other males and find out what their “status” is regarding nearby females. How cool is that? This potential choral (not coral!) relationship among males brings us to one of our next humpback whale facts. Humpbacks spend about ten percent of their time at the ocean’s surface, and scientists are able to witness just a small percentage of that. 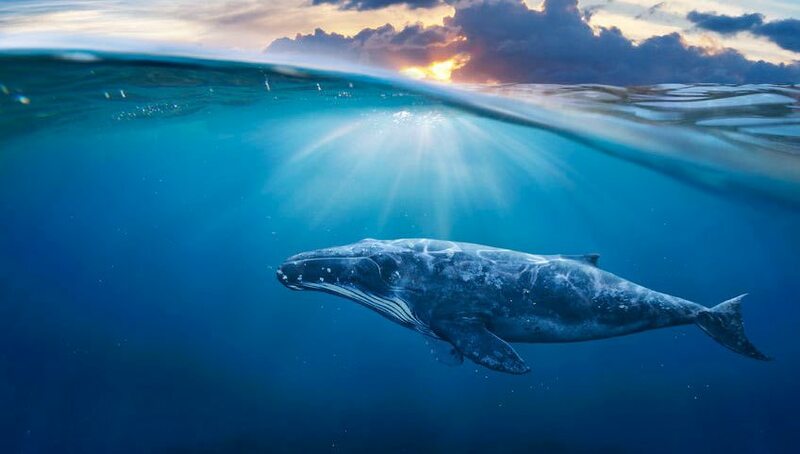 Whales are still largely mysterious creatures to us! Ideas about what they do and how they interact with one another have changed over the years. When something new is seen, it may begin to change our knowledge of humpback whale facts. All kinds of awesome action goes on when several males are trying to get close to a female on the breeding grounds. It was thought for a long time that males only fought each other when they got together in these situations. 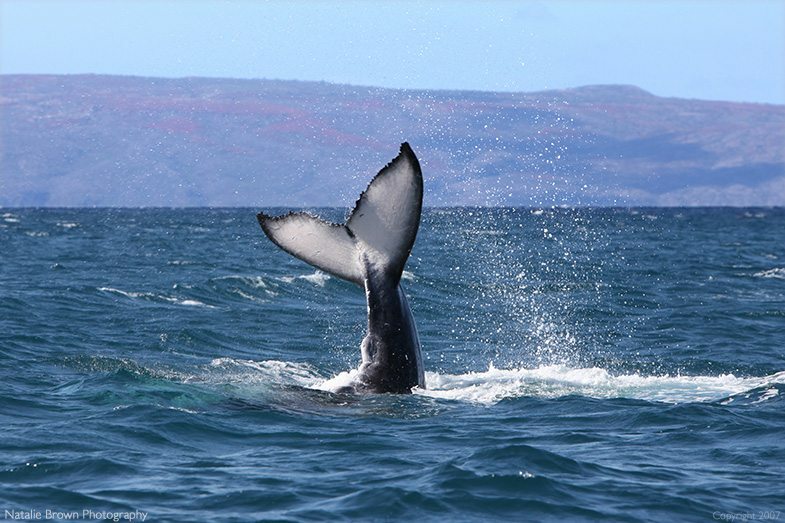 But in 1996 off of Lahaina, people on a whale-watching boat saw something they had never seen before! Scientists motored over, too, to find that an adult male humpback had died in the midst of the intense activity of a competition pod. Another male swam to the one who had passed, and cradled him with his flippers. He remained close to the body, at times holding him, for more than four hours near the surface. This male even guarded the body from a diver who tried to approach for a closer look. Perhaps relationships among male whales include something much deeper than simple competition. Perhaps they help each other, too. About 40 different shark species live in Hawaiian waters, but tiger sharks get almost all the press. It is widely believed that sharks always have the upper fin when facing off with prey, but that isn’t true. On a rainy island afternoon not too long ago, we listened to a naturalist talk about sharks at the Maui Ocean Center aquarium. He said that sharks need to be careful when they choose prey, because they don’t have any bones to protect their own internal organs. (As you may know, sharks’ skeletons are completely cartilaginous.) 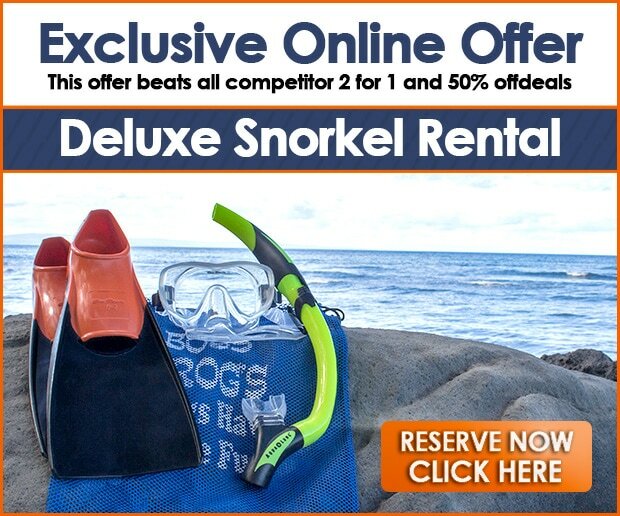 If a shark squares off against an animal who hits back, that shark could be in big trouble! Sharks tend to go for sick and injured animals, not only because they are easier to catch, but because the shark himself is safer that way. A 15-foot humpback whale calf may look appetizing to a 15-foot tiger shark, but the calf’s 50-foot mother – who can come in swinging her strong pectoral fins and tail flukes in her baby’s defense – can be a “fin”tastic deterrent to predation. Interesting dynamic, isn’t it? Some humpback whale facts can be hysterical, but this one is historical. It may seem unimaginable now, but whales actually used to live on land. Can you imagine an adult humpback – the size of a city bus! – scooting slowly along Main Street? When the animals who eventually became whales lived on land, they weren’t huge, and they didn’t look like whales. Looking at the evolutionary record, the first whales were shaped more like wolves. They are thought to have been very social and to travel in packs. Eventually, these land mammals returned to the sea. In fact, the whales and dolphins we watch today still have vestigial back-leg bones! Another cool thing about whale bones is this: if you take a look at a whale’s skeleton, you’ll see some similarities to your own. Check out the bone structure in the pectoral flippers (near the whale’s head), and then look at your own fingers. You two could almost shake hands! Whale, pleased to meet you! Have you ever wondered how long a whale can live? After a humpback dies, there is a unique method to discover his age (how long he did live). 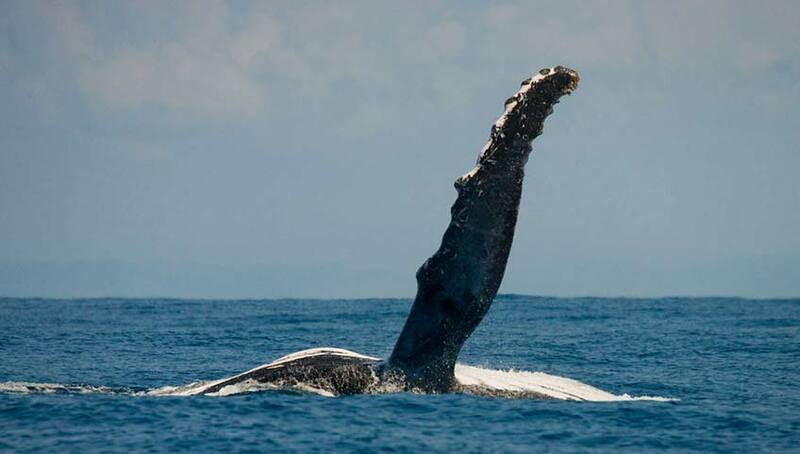 Humpbacks develop a plug of earwax that becomes layered over time. (We guess there are no whale-sized Q-tips, are there?) When a whale is in Alaska, the earwax layer looks different from when the whale was visiting Hawaiian waters! That means when you count the rings, you’ll know many times the whale migrated. As a whale may not leave Alaska every year, this provides only an estimate of age, but it’s still pretty cool! When it comes to how long a humpback can live, approximations vary, so we do not have humpback whale facts on lifespan. Some people say they can live for 40 years, and some say they can reach almost 90! To find out how old a fish was before she died, you can head to her ears, too. Fishes’ ears contain spherical bones called otoliths that take on a new layer every year. The chemical composition of those bones can also be tested. 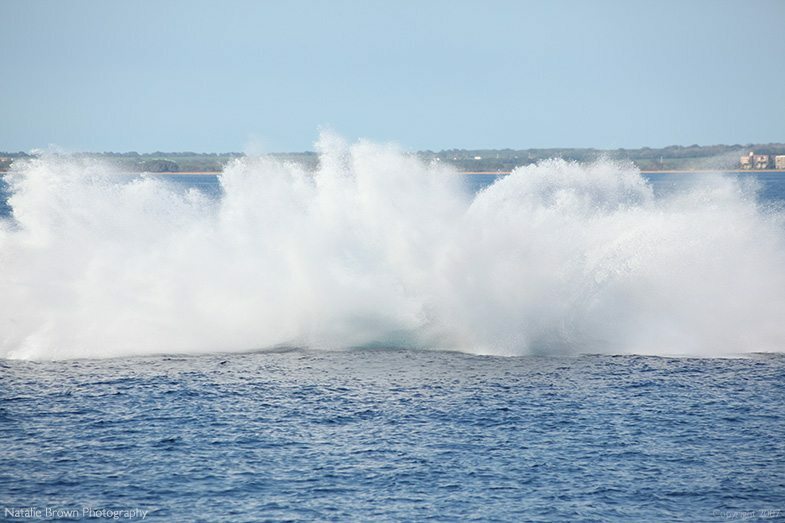 When combined with information from the coral record of a fish’s birthplace, scientists can actually determine which fishes were born during the atom bomb tests in the Pacific in the 1950s and 1960s! All right, so you’re on a whale watch, leaning breathlessly against the boat’s railing with your camera at the ready. You’ve seen some of what the captain called “surface activity” far away: splashing, the backs of several large dark bodies moving in a common direction, and clouds of misty whale breath. As the boat motors closer . . . a giant squid reaches over the railing and grabs you in its tentacles! No? Okay, how about a huge frigatebird swoops down and steals your camera? Is that idea too fantastic to consider? (You may know that the Hawaiian word for frigatebird is ‘iwa, which translates to “thief.”) Well, how about a drone buzzes by from a scientific research vessel, hovers above a whale’s blowhole for a bit, and then races back to its home boat, carrying whale snot for analysis! That last one is no fish story – it really happens these days! 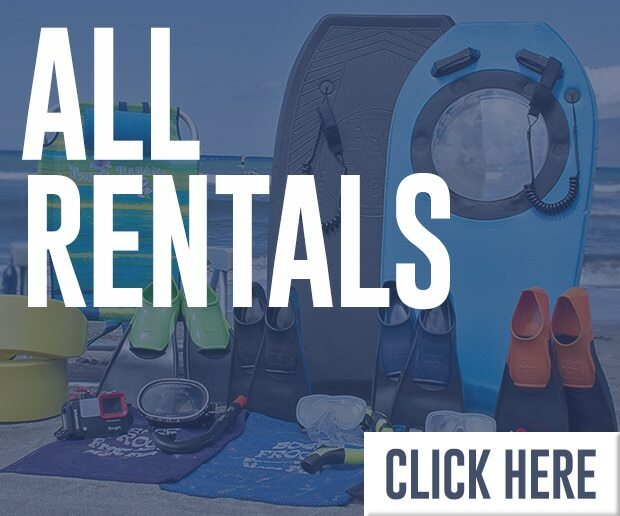 And let’s say after an exciting day of humpback whale facts and behaviors with your wedding party, you simply cannot wait to make it back to shore to marry your sweetheart on the beach. Your timing is impeccable, really. After all, this is also the time of year when whales choose their mates! Once everything is ready, and your feet are in the sand, life gets even more golden when Natalie Brown springs into action with her camera and eye for the perfect beach wedding shots. Who knows, she might even capture a breaching whale behind the two of you! Okay, this is one of the most awesome humpback whale facts ever! As you may know, in the 1900s, the whaling industry wiped out most of the humpbacks worldwide. (That’s not actually the awesome fact.) 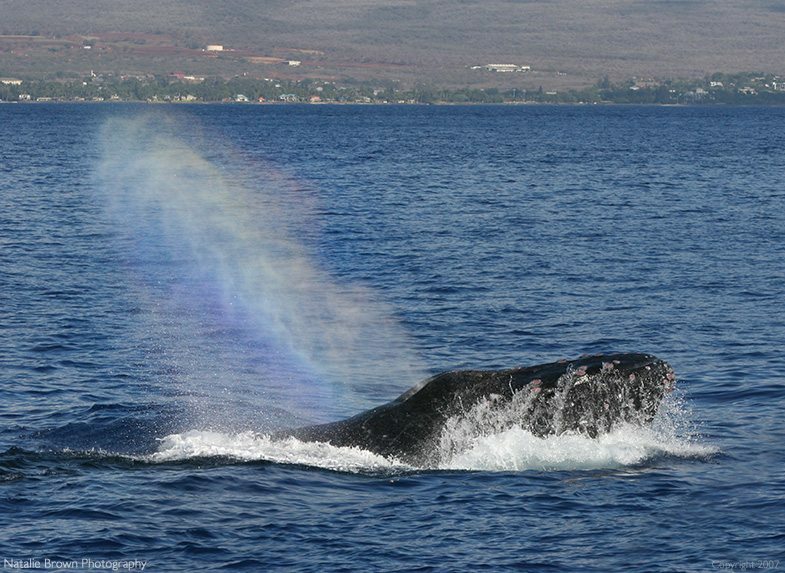 In the late 1970s, there were only about 2,000 North Pacific humpbacks migrating to Hawaii. 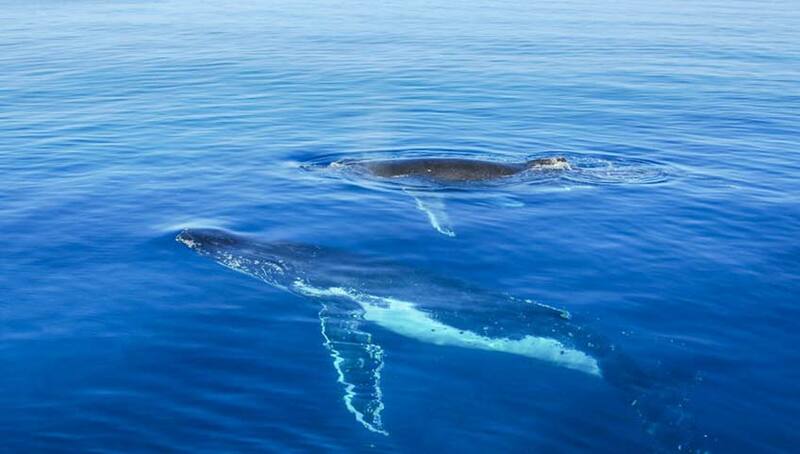 Whaling was banned altogether in 1982 and since then, the humpback population has rebounded. 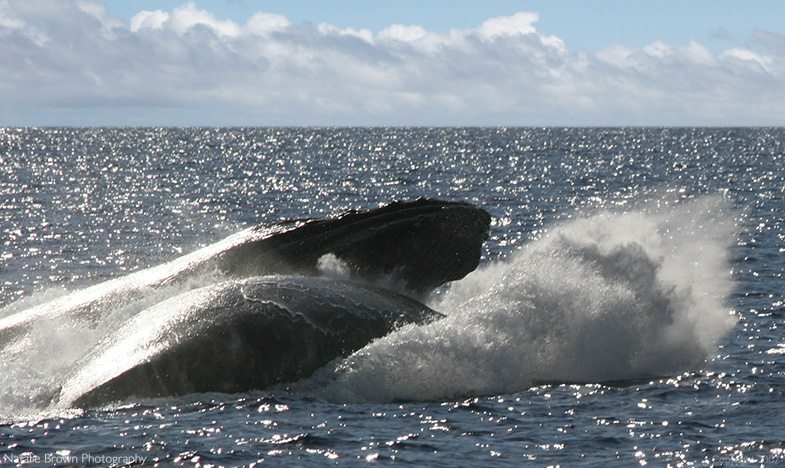 Now, at least 20,000 North Pacific humpbacks visit Hawaii each year, with an annual increase of about seven percent! Because of similar successes, in 2016 many humpback populations around the world were taken off the Endangered Species List. Yahoo! All humpbacks in U.S. waters are still protected under the Marine Mammal Protection Act. We think all this deserves a double breach! When you hear the word “migration,” what do you picture? Huge herds of wildebeest crossing the African savannah? Millions of birds rising from the surface of the water somewhere? One thing that sets the humpbacks’ migration apart from many others is that different groups of whales arrive and depart from the breeding grounds at different times. The first to arrive are the females who have year-old calves in tow. These calves were born on the breeding grounds the previous year, and their mothers may become pregnant again this year. Next come the “teenage” whales. They aren’t old enough to breed, but they watch the adults, and learn the social and cultural dynamics of it all. The adult females who are resting right now arrive next. (A 3,000 mile journey doesn’t sound like much of a rest to us!) These females are not pregnant, nor do they have calves with them. Next, the adult males arrive. They are hoping to become a female’s choice of mate. The males compete with one another (and may work together as well) to further this goal. Lastly, females who are about to give birth arrive on the scene. 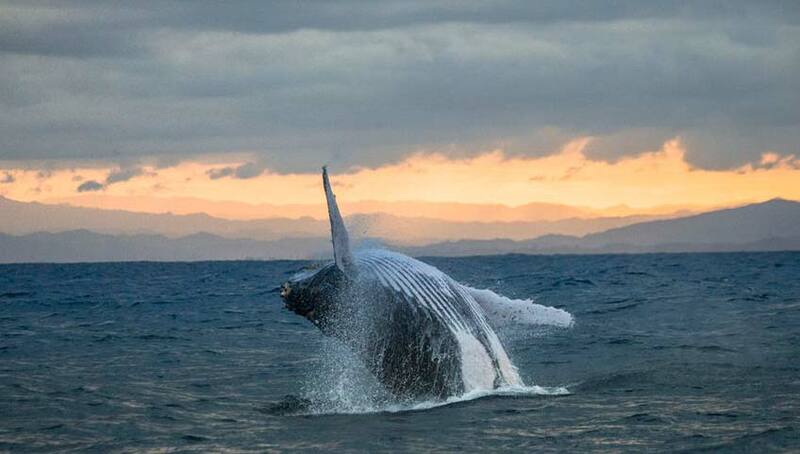 Their gestation period is one of the longest humpback whale facts we know, running between 11 and 12 months. 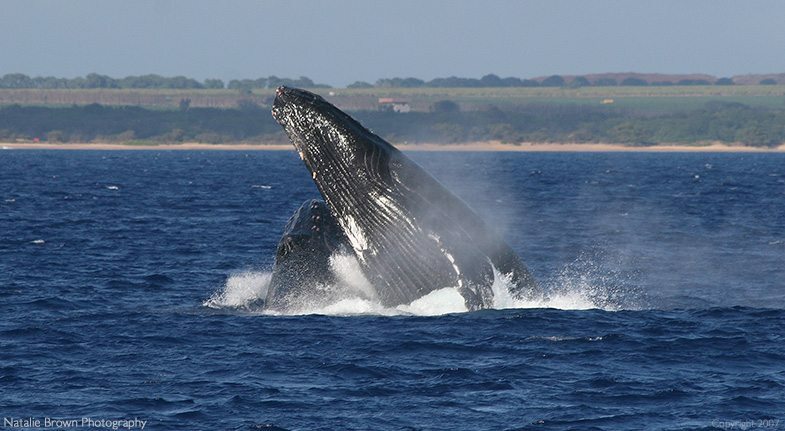 Each whale does not usually stay in Hawaii for the entire breeding season – perhaps because they become hungry. There is nothing for humpbacks to eat in tropical waters, so unless you’re a calf, you’re surviving on your fat stores. Depending on an individual whale’s objectives, and their success in achieving them, one whale might be in the Islands for six weeks or so. The males tend to stay the longest, sometimes for months. Okay, you know how humpbacks migrate about 3,000 miles between Alaska and Hawaii each year? (Yes, they swim, but how do they know where to go?) If you’ve ever swum in the ocean and tried to make it to a specific destination, you know that it can be tricky. The changes in the water can change your course quite easily. Now imagine you’re a whale. (How does it feel? Pretty awesome, right?) No, really, imagine you’re a whale, and you’re aiming for a tiny island group in the middle of the Pacific. 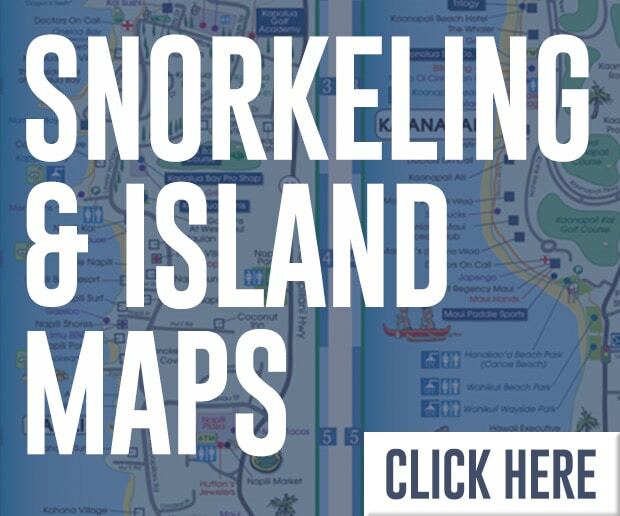 You are not even close to being able to see these islands, and you have no Google Maps on which to rely. The waves, winds, water depths, sun and star positions, and magnetic field surrounding you are constantly changing as you move forward. Even so, as a 50-foot whale, you can maintain an oceanic course – day in and day out! – that varies no more than one degree (60 nautical miles). 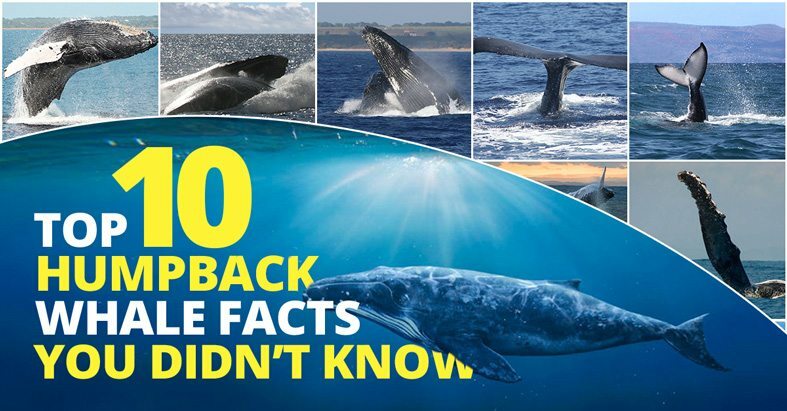 Now you can add that incredible information to your knowledge of humpback whale facts! Whales live in a world so different from ours, don’t they? They inhabit a medium where sound travels 4.3 times faster than it does in air, and the surroundings themselves are in constant motion. Where shades of blue and green fade to black with distance and depth, at least when seen through human eyes. Oftentimes, swimming through pelagic waters (those in the open sea), there is no other underwater creature to be seen for miles and miles. Increasingly, however, evidence of human life is making its way everywhere in our oceans. Discarded items – many of them single-use plastics like bottles and straws – are creating huge rafts of trash that reach from the surface of the sea all the way to the bottom of it. A sei whale was killed recently because she ingested a shard of plastic DVD case. The case perforated the whale’s stomach. Over 50% of humpbacks studied have wounds caused by entanglement: being caught in line, ropes, nets, and all sorts of other debris that finds its way into the ocean. One of the most unfortunate humpback whale facts is that being caught like this can cause whales to drown or eventually starve. Luckily, all is not lost, though! Sometimes, people notice an entangled whale, and give the whale’s location to a highly trained team of disentanglement specialists. Sometimes, these teams can set the whales free! In addition, exactly as you are today, you can help with the humpbacks’ housekeeping! Insist on using reusable water bottles, saying “No, thank you” to plastic straws, and cleaning trash from the ground whenever you can. (All loose ground trash is eventually headed for the sea.) You may not see it yourself, but everything you do makes a big difference out there in the world. 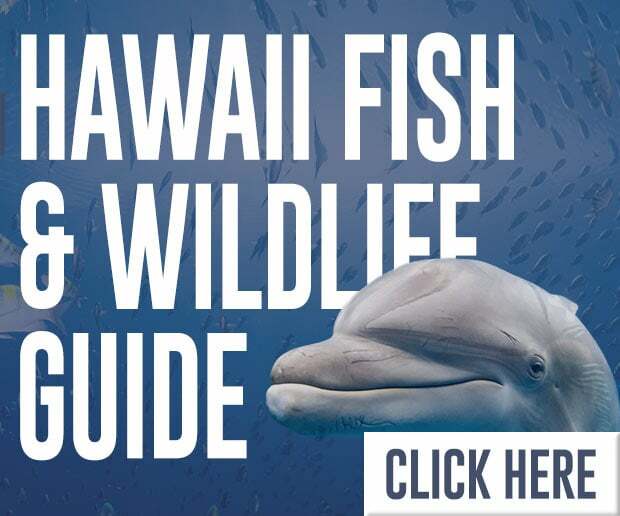 We’re sending a whale-sized “mahalo” from the humpbacks to you! 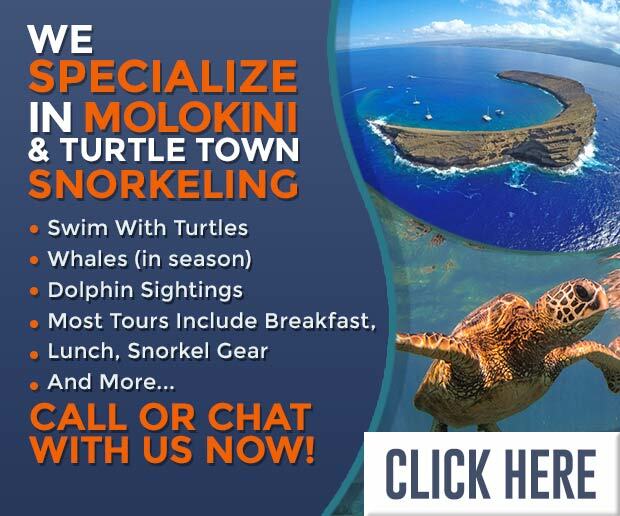 Come out and sea us sometime!